Whether a manuscript crosses an editor’s desk, or is loaded onto an e-reader, readers will read on if the author invents characters in which they’re invested. It’s easy to miss opportunities for the protagonist to make choices. Events happen in Act 1 that feel strong enough knock the protagonist into Act 2. But, it doesn’t matter how perilous or unique the events we devise for a story may be, if the hero is simply reacting to events, then we don’t have an engaging character. Those choices should be grindingly difficult for the protagonist to make. In this way, the same events that provoked mere reaction in a first draft, create satisfying character development in a second draft. And the reader reads on. Designing Great Writing Mornings. Writing Tips from Pulp Literature Press. Good old handsome Kerouac, rolling up his shirt sleeves, drinking and typing at speed through the nights into the mornings. Who doesn’t love On the Road, jouncing around in the back of a flatbed, arguing that the best road trip money spent on nutrition must be apple pie with ice cream? But Jack, some of us writers like our sleep. And, family and friends, at the end of a day, not slam-writing all night. We want great lives, as well as excellent writing careers. “I start early in the morning. I’m usually out in the woods with the dog as soon as it gets light; then I drink a whole lot of tea and start as early as I can, and I go as long as I can…” – Robert Stone. There’s got to be a personal happy medium. So on this first week of the new year, take a moment to list 3 ways to devise a tradition to bring even better mornings to a writing career. I’ve read successful stories that skimped on the darkest hour and the showdown. I’ve enjoyed books that were slow to offer Act I’s promise. But, ask a reader to miss out on the enjoyment of Act II character-developing adventures? Never. The hard and often impossible choices characters make in Act II and throughout the story, keep us reading. We are invested in characters that grow inwardly as well as outwardly. So, here’s a question for Act II: are the skills and allies your hero is gaining a result of simply struggling against obstacles? Or are they achieved after making difficult choices in that struggle? The former makes for a great synopsis, but the latter creates an unforgettable read. Often acquisitions editors stop reading at the beginning of Act II. If they have the time to write and tell you why, they’ll offer something like “the inner voice failed” or “the momentum slowed.” That often means that character development needs strengthening, and checking for hard choices is a reliable way to master that. Act I gives us the promise of genre. Act II fulfills that promise, as the hero struggles through to the darkest hour at the end of Act Two, and on to Act III’s final showdown. Nanowrimo says, go ahead, dare to write a book that might even make you a lot of money, help others along with ourselves to get pages under our belts, and have writerly fun doing it. It makes a lot of sense to go Nanowrimo. 1. Write that book and have fun doing it. For some of us, the fun lies in scoring high in wordcounts: there’s nothing like seeing those manuscript pages stack up. The friendly competition between like-minded authors, as well as rewards you can give yourself at the end of the day (beer, chocolate, kitten gifs … ) turns writing into a game that’s fun to play. And if it turns into a bestseller some day, those are the ultimate bonus points! Like any skill, such as playing an instrument, drawing a portrait, or throwing a baseball, writing needs to be practised over and over again. Even if you’re not at the stage in your career where you have a winning novel just waiting to be born, your writing chops will sharpen simply by churning out 2000 words a day. Guaranteed, you’ll be a better writer at the end of it. 3. Help other writers live their dream. As well, our Nanowrimo participation encourages and helps others who need some support to take steps towards writing the novel that’s been a dream for years. They love knowing that they’re not alone in what sometimes seems like a lonely profession. It makes good sense to get tailor-made support for the days ahead. Our contribution to the cause is making The Writer’s Friend and Confidante: Thirty Days of Narrative Achievement pdf version available now. Get your copy while it’s hot, because this 30-day guide is available only till the end of Nanowrimo. The Writer’s Friend and Confidante, like any good pal, cheers you when you’re low, motivates you to write your best work yet, helps you develop a map of narrative clarity, and believes in you with every fibre of her being. In our Confidante you’ll find thirty days of inspiration, tips and exercises, timely advice for each act of your story, and images to feed your eye and make you smile when you approach every lily-pale page. Nanowrimers, you’ll love the 30 days to keep you inspired to make it to the end. This guide is your assistant, reminding you of the dreams that set you off on your narrative journey, and offering hints, tips, exercises, and inspiration to see you through to your goal. Only $10 gets you our printable, illustrated, re-usable PDF workbook during Nanowrimo. Are you a hard-copy purist? Prefer the printed page? 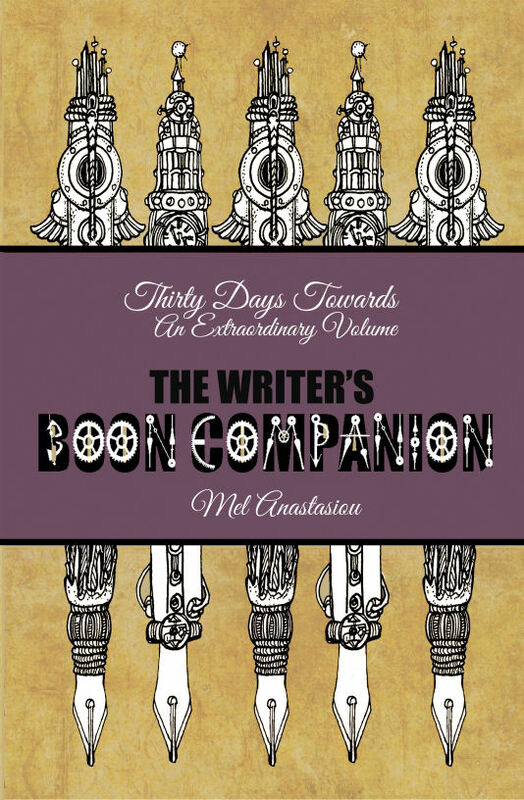 In that case, The Writer’s Boon Companion: Thirty Days Towards an Extraordinary Volume is the friend for you. A daily writing guide to help you through a month of your work in progress. Perfect for NaNoWriMo … or any month of the year. It’s no secret that acquisitions editors have red flags. We twitch when we see spelling errors or the wrong publishing house’s name in the cover letter. Heroes and Villains: Not All Good or All Bad. Alien 2’s flesh-eating monster cared about her children, and Narnia hero Digory’s vanity echoed his Uncle Andrew’s. Happily, unflawed white-hat heroes rarely sail in and out of my acquisitions in-box. The trouble is that, more often these days, I read heroes that are bad through and through. It’s pretty easy to write an all-bad hero. Balancing flaws believably, perhaps with some small sacrifice or reluctant, kind act, are a couple of ways to show narrative skill. And, inside the acquisitions in-box, I read on. Often my own dreams are set on a fictional island. The shores are dark rock, cluttered with docks and boardwalks. Shallow lakes and marshlands pockmark the interior, interrupted occasionally with steep hills and mountains. Sometimes the hills are only little sugarloafs you could scramble up in half an hour; sometimes they are filled with alpine flowers, and depressions shelter reservoirs of snow in summer. I am inclined to think most of us have one such landscape inside us, which we have created unconsciously. Sharing that internal world is part of what art can offer. An extraordinary dreamscape belonged to the Uruguayan poet Marosa di Giorgio (1932 – 2004), four of whose books of poetry have been published by Ugly Duckling Presse collectively under the title of I Remember Nightfall, with en face English translations by Dr. Jeannine Marie Pitas, a poet and scholar. The translations themselves are fluid and supple, maintaining momentum and rhythm with simplicity of phrasing. The poet’s voice feels entirely natural and consistent throughout. Perfect translations fit the original so naturally that the translator’s word-choices and turns of phrase feel inevitable, once compared with the original. Judged by the limited samples over which I applied that test, Dr. Pitas’ translation approaches perfection. 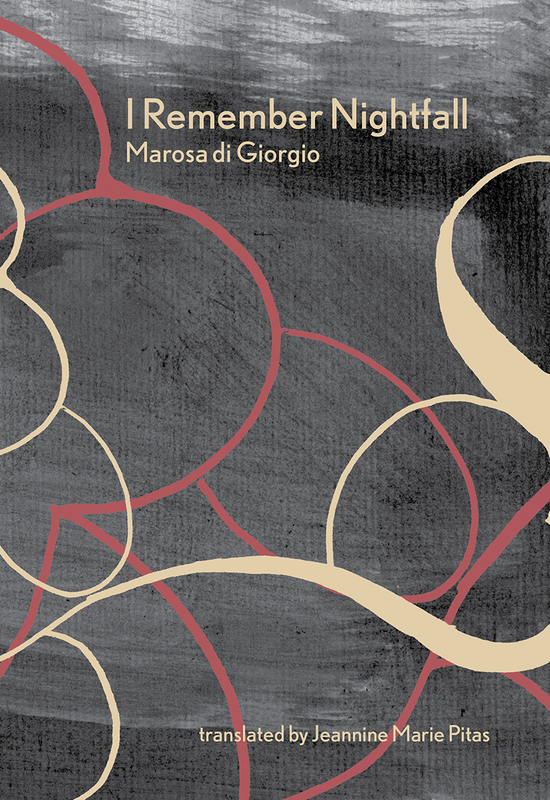 I Remember Nightfall is a rich and mercurial collection, and provides English speaking readers perhaps their first access to the work of di Giorgio. I regard this as an event of some significance, since the more I read of di Giorgio, the more I am persuaded that she is an essential poet. The best poems are overwhelming in their originality and visceral power. Their narrative unfolds like an avalanche. Blessings and torments are dispensed in an agony of beauty. There is an experience of both helplessness and power. It is not unfair to compare the astonishment with which one reads di Giorgio’s poems with the experience of first reading Gabriel Garcia Marquez. Both portray a specific natural order, on which the supernatural constantly impinges. This technique of apparition or visitation can lead to an excessive reliance on the element of surprise, but di Giorgio refrains from ambushing the reader. She is a poet of discovery, not jump-scares. Much of di Giorgio’s power, especially in translation, derives from the incredibly vivid world she describes in her poems. To give you a sense of that world I will simply list the ideas in a randomly selected passage of poetry: baskets, fruit trees, mushrooms, chimeras, horses, eggs, bones, bells, the slaughter of livestock, grapevines, almonds, fire, planets, hunger, the moon, feathers, lettuce, magnolia blossoms, coconut, bonfire, boat, telegram, teacup, tablecloth, hyacinths, roses, star anise, honey, dentures, citrus fruits, squashes, tulips, the sense of being followed, vermin, escape, concealment, cattle. The Carnival barely arrived, there in our beloved land. …And the house. There were only two dwellings in that vast region. Ours and “the other”. Our family and “the other”; that was how we referred to each other. Everyone goes to bed. The romantic aunts rest with a hand on the pillow and their corollas open. Then someone gets up. Are they going to commit a crime? But all we hear are moans and then everything remains at peace. A horse comes up the road like a terrible girl, with its mane and its haunches. In the air a planet or a bat is spinning. …And under the magnolias — who’s there? It is impossible to fairly excerpt these poems, and they must be read in full to experience their effect. Di Giorgio’s poetry has a tendency towards the naive, and an inevitable criticism of a large volume of her work is that she can be repetitive. I do not consider repetitiveness to be a major defect in a writer, as it is often the result of either perfectionism or a refusal to shilly-shally. With Di Giorgio, it seems to me to be the byproduct of the density or concentration of her inspiration. I do not advise trying to read all of I Remember Nightfall at one sitting. I found the poems most refreshing and exciting when taken in small batches. The four books collected in this volume (The History of Violets, Magnolia, The War of the Orchards, andThe Native Garden is in Flames) were published between 1965 and 1975, and represent the poetic production of the poet’s thirties and early forties. It would be interesting to compare these poems with the work produced in her youth and later in her life. It is always a gift to encounter a poet of unique vision and powerful expression. I will return often to this collection, and I look forward to the release of any future translations of Di Giorgio’s work. -Daniel Cowper, Poetry Editor, Pulp Literature Press. 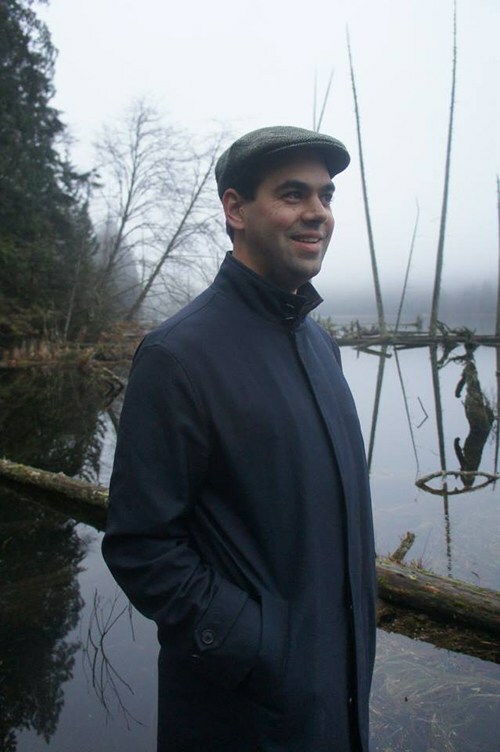 Daniel’s poetry has appeared in the Literary Review of Canada, Prairie Fire, Vallum, CV2, Dalhousie Review, Freefall, the Hart House Review, and is forthcoming in Noise Anthology; his poetry chapbook, The God of Doors was a winner of Frog Hollow Press’s Second Chapbook Contest. His non-fiction has appeared in the Puritan’s Town Crier. Jeannine Pitas’s poem ‘Feynman’s Flowers’ appeared in Pulp Literature Issue 2, Spring 2014.